FREE Scrub-A-DONE! The ULTIMATE Non-Abrasive Dish & Pot Scrubber! This great FREE crochet scrubber pattern offers a variety of size and design that will allow you to tackle those big pot, pan and dish clean up without even scratching the surface.. literally! Cleaning in the kitchen is a breeze! Don’t waste your money on those scratch resistant scrubbers! They are costly, and they have a short lifespan. These nifty cleaners will last you a LONG time and all you have to do is throw it in the wash with the towels! Wash & Re-use! Good as new!! I have made several of these now, I’m using the green sponge you see in the picture as a matter of fact, and it is aMaZiNg!!! What a great gift for friends & loved ones! Make a set! After you make yours, please join us if you like at YarnWars Group on Facebook and show off your Scrub-A-Done Magic !! 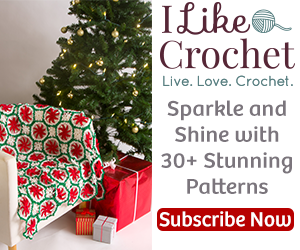 Just click on the link below, follow the pattern to create the perfect size for you!